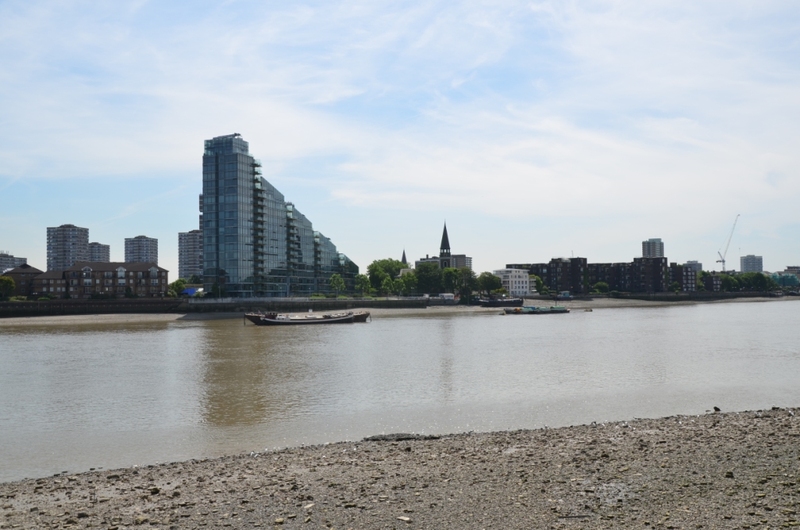 We’re back on the edge of Kensington and Chelsea this week looking across two bodies of water, one large, one small, at the neighbouring territories of Fulham and Battersea. 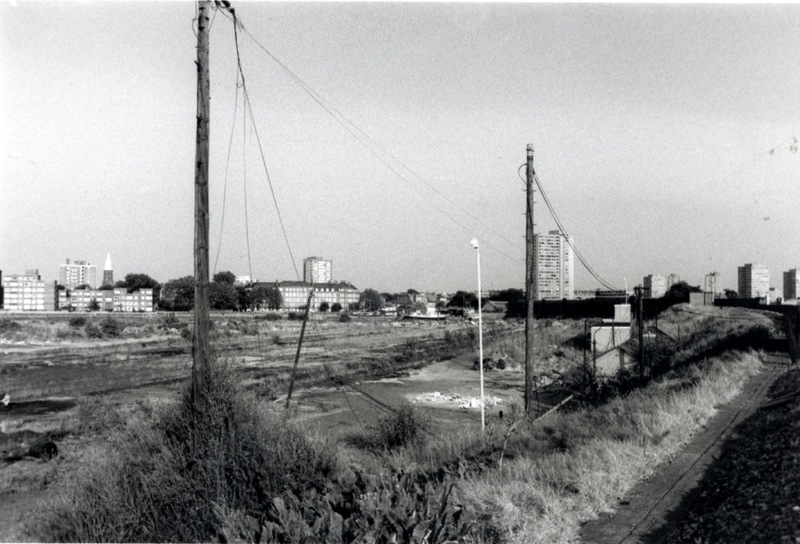 These photographs come from the same source as the ones in the Paddington post, but date from 1983, when the right angle bend of Lots Road was a backwater and the semi-abandoned railway land on the other side of Chelsea Creek was an industrial wasteland, a brown field site if ever there was one. 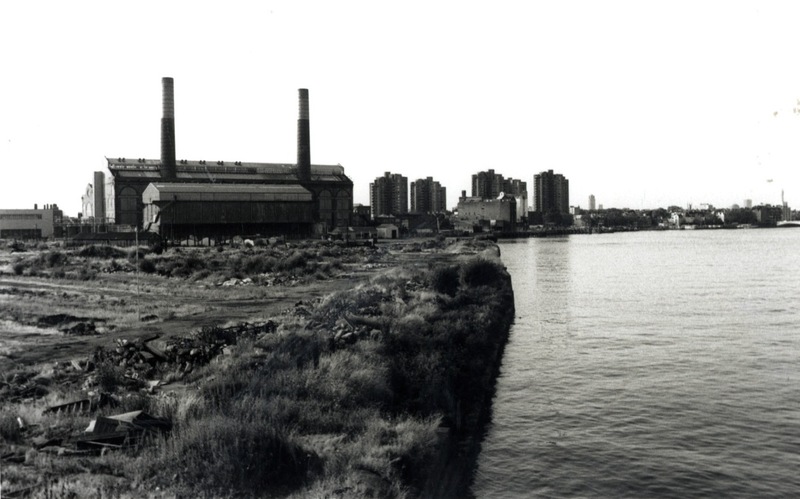 This territory would become the ambitious and prestigious Chelsea Harbour development in a few short years but when these picture were taken it was still a remnant of the days when the Creek was lined with wharves where barges of raw materials were unloaded. 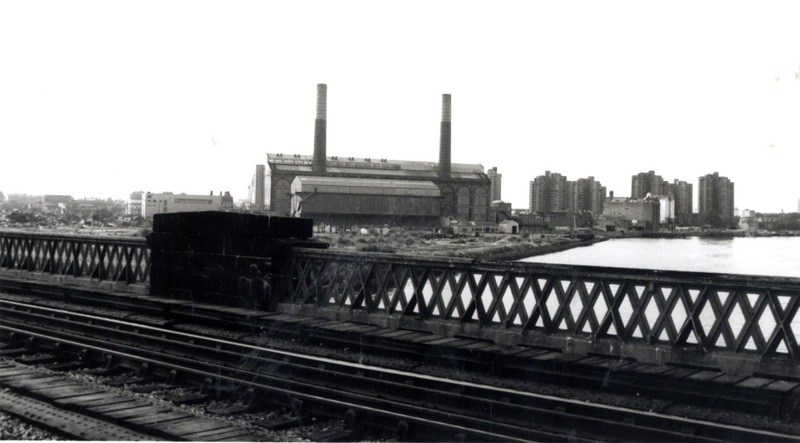 Trains were marshaled in the many sidings and on the Fulham side there were warehouses and factories. 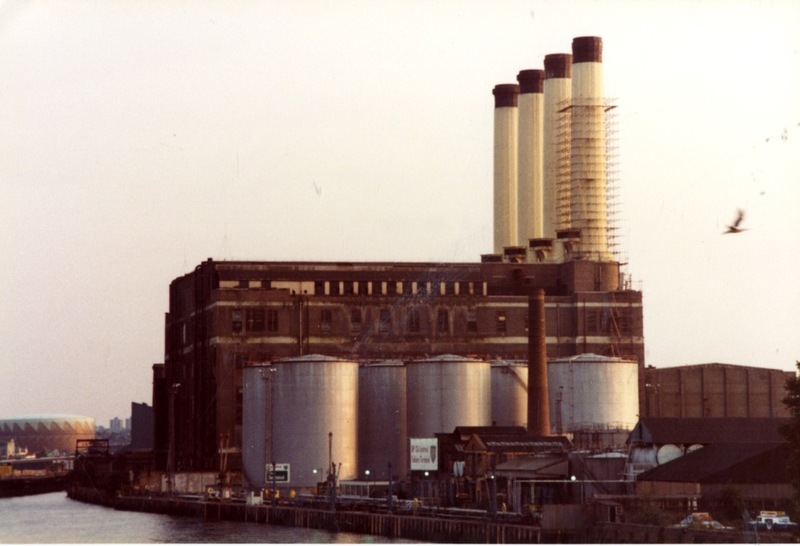 Fulham Power Station is on the edge of this pictures, Lots Road ‘s younger brother often mistaken for its older sibling. The difference is clear though. 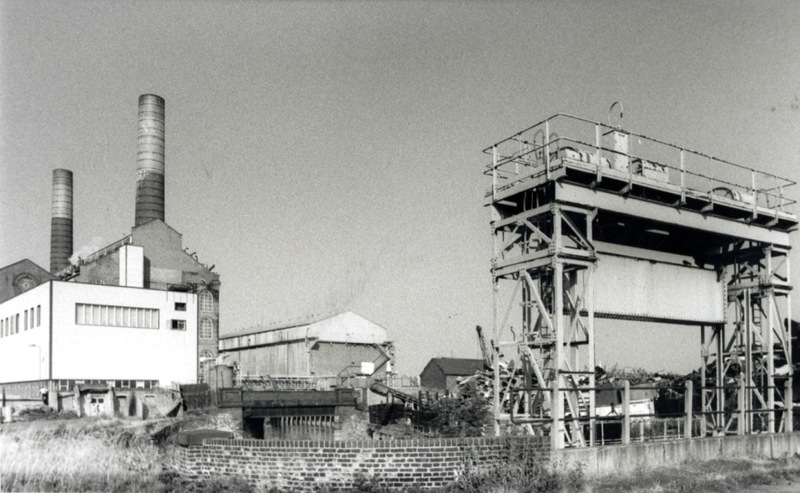 The concrete chimneys are in a line at one end of the building. 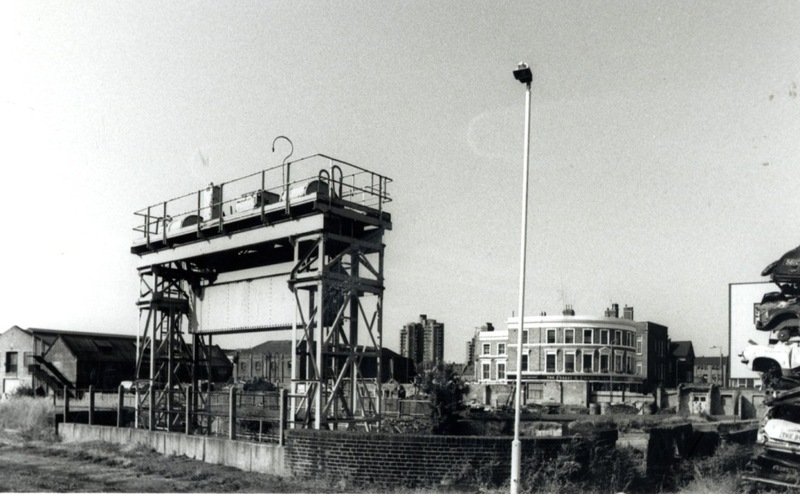 A power station had been built on the site in 1901 but this is the B Station constructed in 1936 and decommissioned in 1978, five years before these pictures were taken. 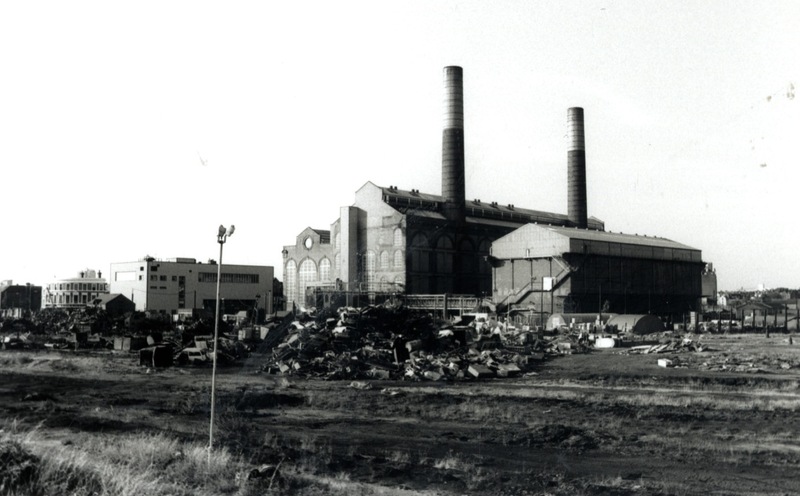 After some controversy over asbestos removal it was partially demolished with the remainder being converted into a storage facility. 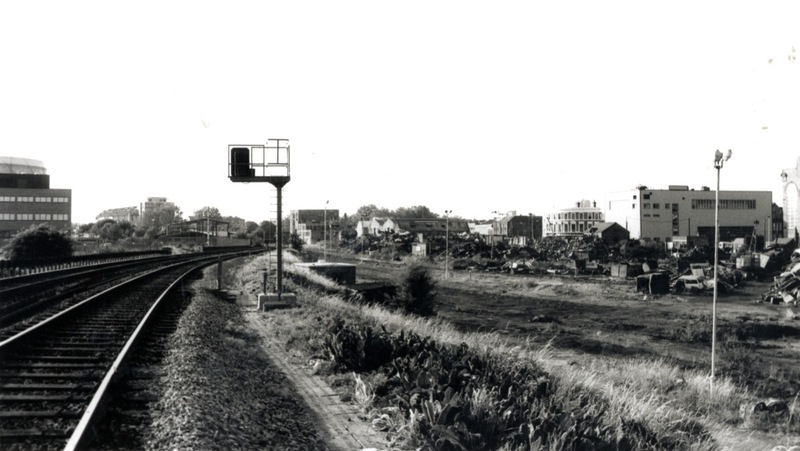 The two stations were separated by the railway lines. 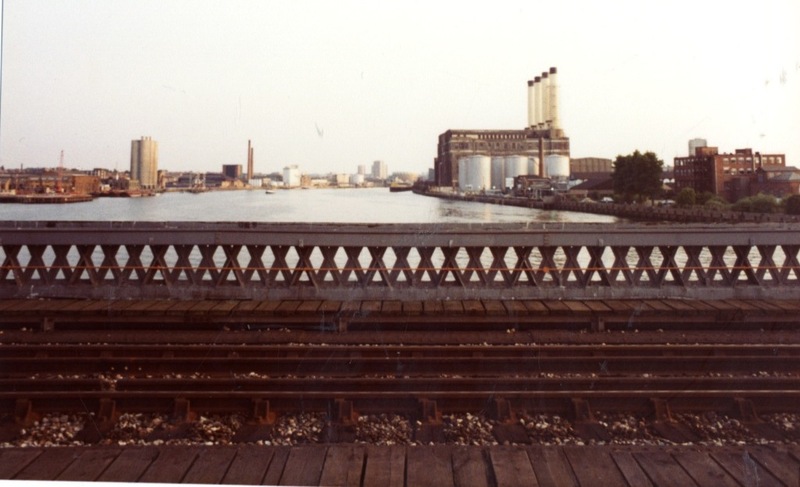 The photographer, Bernard Selwyn, was a surveyor who had access to the railway bridge from which this picture was taken. 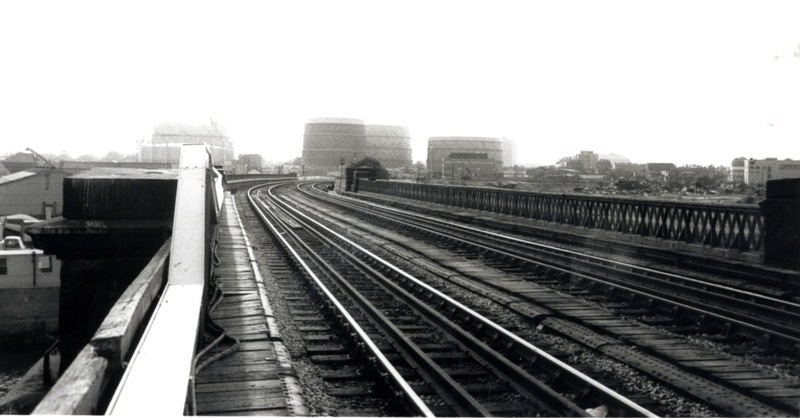 The gasometers in the background are in Fulham. This view is directly west looking up the river. 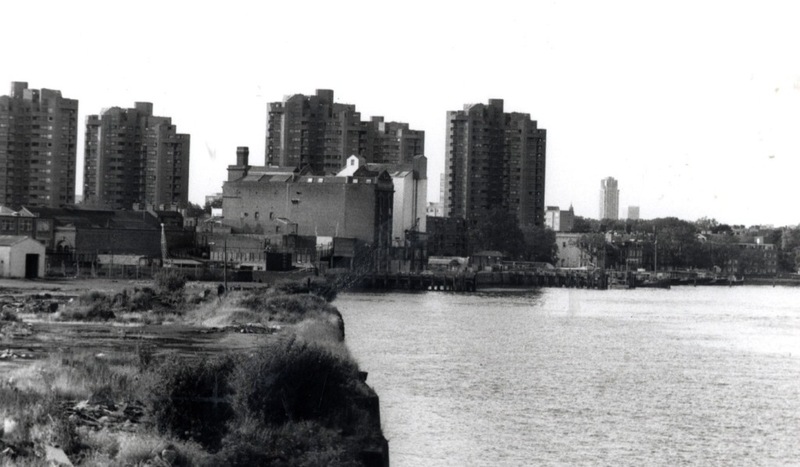 It looks quite different these days with mostly residential developments on both sides of the river up to Wandsworth Bridge and beyond. You can just make out the Balloon Tavern in the distance. The white building next to it in the picture still exists as well. This is a closer view. The towers of the World’s End Estate appear in the background of every view in that direction. Chelsea Creek is just behind that wall not quite visible in this picture. 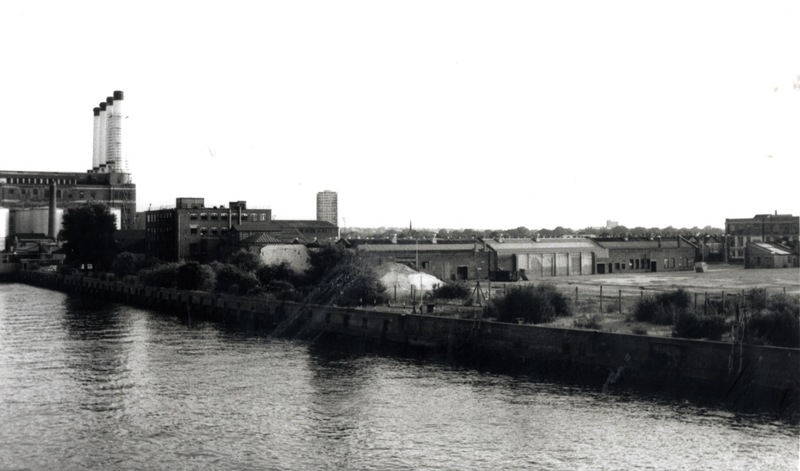 A body of water, some hundred year old brickwork, an enigmatic metal structure, industrial buildings with an air of abandonment, grass growing uncontrolled around them. All elements of a certain kind of post industrial landscape. But don’t get me started on the beauty of industrial decay. We could be here all day admiring the desolation. There are cars in this pile of discarded metal. The river looks quite unfriendly and forbidding in this picture showing how close all this empty space was to the highly populous estate. 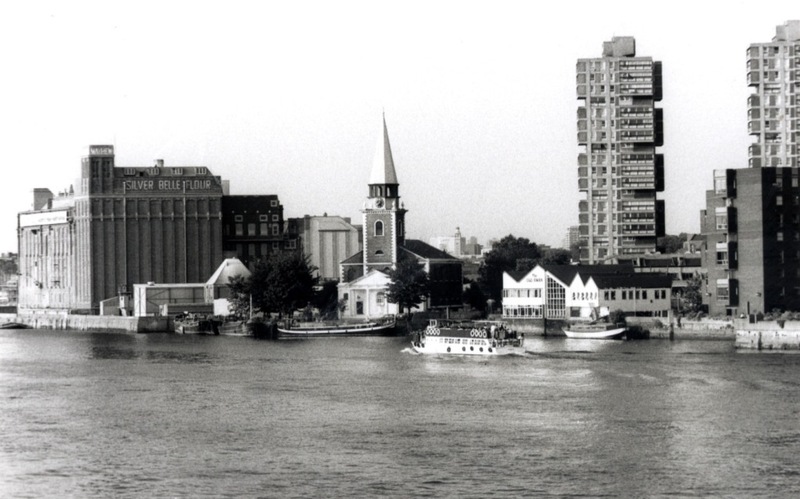 Across the river in Battersea is St Mary’s Church, where William Blake was married, On either side of it are two buildings now replaced. Where the flour mill was is now the Montevetro building. The Old Swan Tavern is also a residential block, though much smaller as you can (just about) see in this photo I took last year. Is the pleasure cruiser in the picture below the same as the one seen passing by the church.? 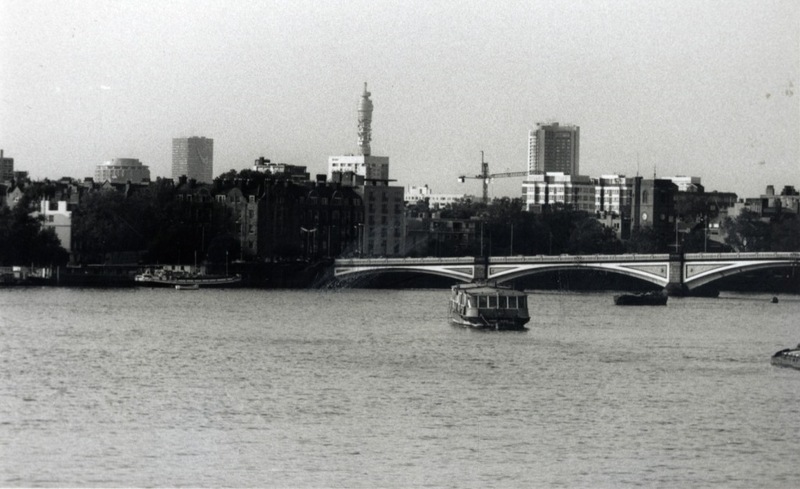 It seems to be heading towards the centre spans of Battersea Bridge.In the centre of the picture is the far off BT Tower, but take a close look and you can make out Chelsea Old Church. The cylindrical building on the left is the Sheraton Park Tower in Knightsbridge, but I’m open to suggestions on the other two towers. 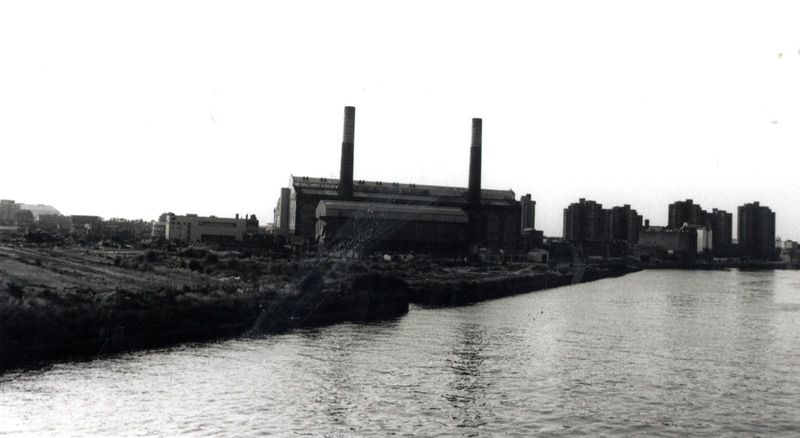 Not quite finally, a view of our still surviving friend the Lots Road Power Station from the railway bridge. In this one it looks most like the giant of its glory days but sleeping now. 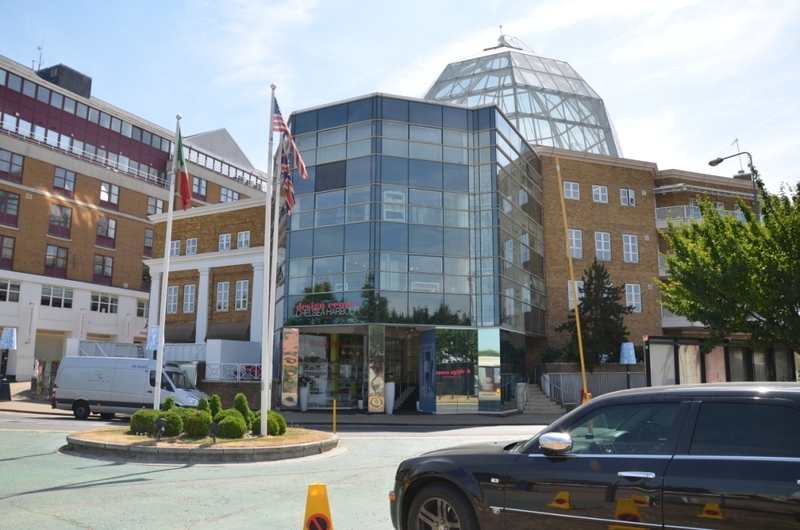 It has proved to be a persistent building surviving all the development around it. The photographs are by Bernard Selwyn part of a collection of material bequeathed to the Library by him. The two 2013 pictures were taken by me last summer when I went out to take pictures for another post. After last week’s post I was reminded that the Chelsea Harbour area was fictionalized as Chelsea Marina by J G Ballard in Millennium People.